Capture, organize and preserve life's most important moments. I wanted a place to store my history that had all the features of a social network and all the capabilities of a mass storage website. I couldn't find one. So I told my mother I was building a personal website of my history... she wanted one for herself. I hesitantly agreed to build her a site too. Then when she asked if I could build one for my grandmother, I asked, "why?" She told me the story about my grandmother, who witnessed Jesse Owens win the Gold Metal in front of Hitler at the Berlin, Germany Olympics. That is when I realized that people are not saving their history. Human's have not had the right tools of organizing documenting and preserving history until now. We need to start preserving history correctly and immediately or it will be lost. Lifeblink will be the future of history for the human race. Two founders, one a designer and one a programmer, built it over the last year using their own money. After building the website we realized that people wanted and needed an App to capture historical moments in their life. It was unexpected and we needed to build an iOS team. Completing a near flawless execution of launching the iOS App. We learned to not launch software until it is perfect. Lifeblink is about to launch their corporate history program. This will allow company and their employees to accurately document their milestones and achievements. 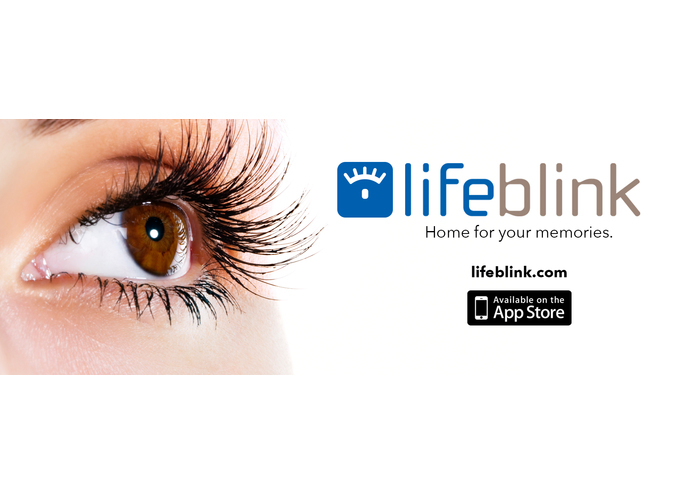 I am the founder and visionary of Lifeblink. I have 25 years of advertising, design and marketing experience.